The Shamal Ultra has always been a benchmark among the best aluminium wheels on the market. The Shamal Ultra has a wider profile, further improving two very important aspects that have made this wheel the leading product that it is: reactivity and manageability. the wider profile combined with Campagnolo know-how, has led to a 3% improvement in terms of reactivity and 5% in terms of manageability. These exceptionally lightweight wheels offer cyclists a unique riding experience that's all about speed, responsiveness and extremely smooth rollability. The Shamal Ultra is available in the clincher and 2-Way Fit versions, allowing you to choose your favourite tyre and get the most out of your riding sessions. The Shamal Ultra wheel is entirely hand-assembled by a specialised Campagnolo® technician and is checked in every tiny detail with electronic instrumentation. This ensures maximum performance and reliability for all Campagnolo® wheels. Quick delivery 🚚,best price u can find on internet. Best aluminium clincher money can buy what else can u ask for. Highly recommended. Beautifully smooth hubs very light wheels, great on a club spin with lots of rolling.hils and fast roads. 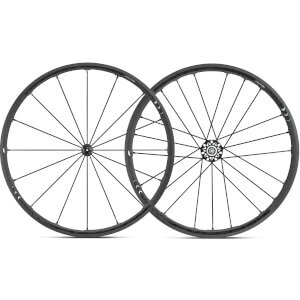 Great value, these wheels spin up very fast ride super smooth and the freehub is not annoyingly loud like other wheels. You can feel there is no loss of energy when you climb. 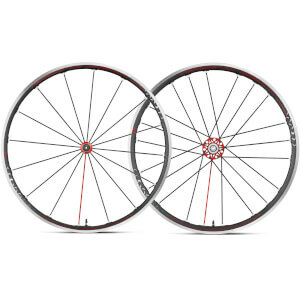 Although they are not a high profile wheel they work extremely well on the flats and no adverse affects in a crosswind. The graphics are nice and the overall quality is fantastic. Weight was exactly as advertised but they feel much lighter on the bike. So far I am extremely happy with these wheels and they look great! 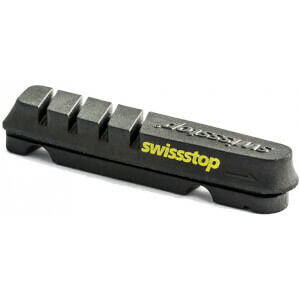 Another great product from campagnolo. This is my all-purpose set of road race wheels with a full racing season on them. 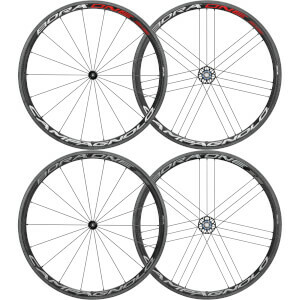 They replaced a set of sub-1200 gram carbon-rim tubulars (sew-ups). The Shamal's feel smooth and light and I can't detect a performance difference between them and Carbon tubulars, mountain climbs included. The stiffness is probably the best of the wheels I've owned and I've finally come around to the belief that an aluminum spoke won't strain and fail within the first couple of years. They even look good (IMHO). Highly recommended. Great set of wheels that live up to their reparation. Have used them on a few 100 mk rides and cannot complain. Wheels are very smooth and silent. Easy to install with clear instructions. Delivery was prompt and efficient. Very satisfied.